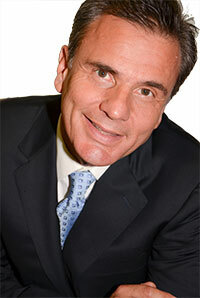 Dr. Harris Krikonis graduated from Dental School Aristotelion University of Thessaloniki. He passed successfully his dental licensure boards after completing a two-year General Practice Residency program in the School of Dental Medicine University of Pennsylvania. Dr. Krikonis became a specialist in Orthodontics after graduating a three-year specialty program in the Department of Orthodontics School of Dental Medicine University of Pennsylvania. He worked as a private practicioner in New York City since 1994 and became a Clinical Assistant Professor in the Department of Orthodontics School of Dentistry New York University. In May 2000 he started his private practice in Athens Greece and for the next three years shared his clinical time between Athens and New York City flying transatlantic on a monthly basis. Today in his private practice in Athens he is providing orthodontic treatment for kids and adults with the same quality standards he learned throughout his academic career. He is a member of the Word Federation of Orthodontist(WFO), the American Association of Orthodontist(AAO) and the Greek Association for Orthodontic Study and Research (GAOSR).